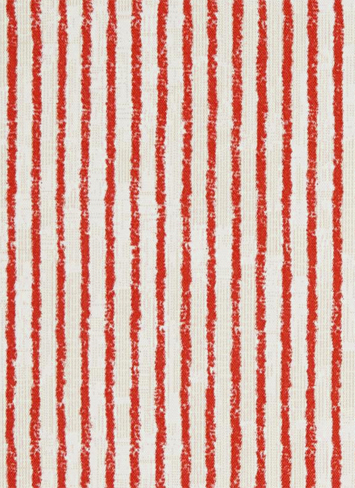 From the fabulous Joanna Gaines of "Fixer Upper", fine strawberry red stripe on an ivory background. Stripes run down the roll. 137cm wide.